This badge was issued to Victor Homocea on 27 Mar 2018. 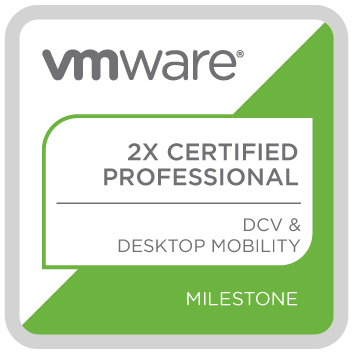 The Double VCP for DCV and DTM validates that a badge earner can administer and troubleshoot vSphere V6 compute infrastructures. This also proves that a badge earner can install, configure, and manage a VMware Horizon (with View) environment, as well as properly identify and differentiate any needed supporting products and components.